We’re delighted to introduce a new feature, SuperSearch™ Alerts. A SuperSearch Alert is a notification letting you know that new results are available for your previous search on SuperSearch, that did not exist when you conducted the search. 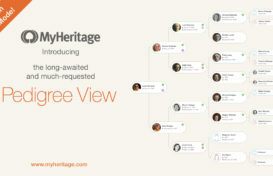 MyHeritage’s SuperSearch contains a wealth of useful content to explore. 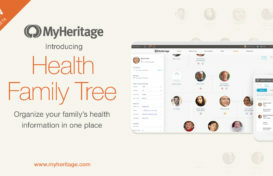 Currently home to 6.85 billion historical records, SuperSearch includes MyHeritage family trees, public photos, census records, birth, marriage and death records, family history books and a lot more. We’re constantly adding new content to SuperSearch, with 1 million historical records and 2 million family tree profiles added on average every day. So, even if you don’t find what you’re looking for on SuperSearch, chances are we’ll have it for you sooner or later. But how would you know when the records you need (or records you didn’t know existed) for the people you are searching for, have been added? We now have the answer! Instead of coming back to repeat the same searches manually, you don’t need to do a thing. Instead, we do all the work for you. From now on, we will automatically repeat old searches you’ve made on SuperSearch, in the background, every two months. We detect relevant results that were not available previously. We then send you an email about the new results found, with links to view the records. As with any record on SuperSearch, once you view it, if you consider it relevant, you can easily save it to your family tree (creating a citation pointing to the record) and extract information to the relevant people in your family tree, or add new individuals to your tree. 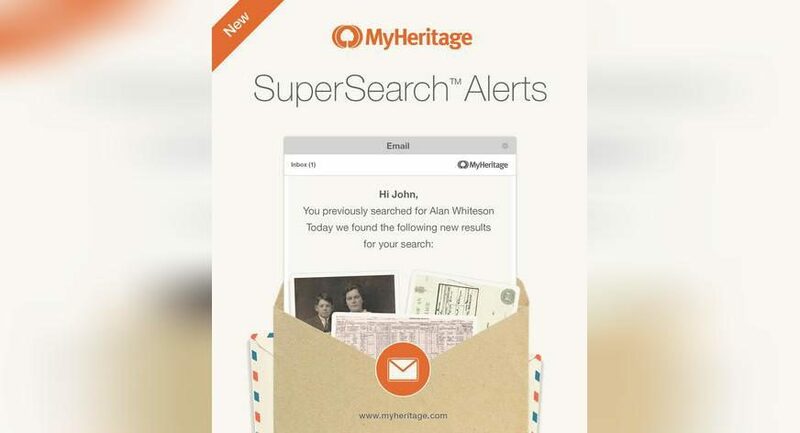 SuperSearch Alerts cover every search you’ve made (when you were logged in to MyHeritage) since SuperSearch was launched in 2012, satisfying every condition you’ve specified in every search (such as birth years, death years, relatives, places, etc). Searches for extremely common names or searches that yield too many results are automatically excluded from SuperSearch Alerts, because when there are too many results, chances are that the new results are not relevant, and we don’t want to waste your time. Here is an example of the usefulness of SuperSearch Alerts: suppose you searched two years ago for ancestral information about your grandfather, who left Denmark and immigrated to the USA in 1925. Suppose you got no results, and you even forgot that you conducted this search. But we remember. On June 28, 2016, we added the 1921 Denmark Census to SuperSearch and, two days later, we added the 1916 Denmark Census. By the way, MyHeritage is the only place on the Internet where you will find these Danish censuses. The new SuperSearch Alerts system will automatically repeat your search for your grandfather, and the next time it does, it may find him in the 1916 or 1921 census, and delight you with the new finds. If you have a tree on MyHeritage, you may also get Record Matches for your grandfather, but sometimes there are no matches if your tree doesn’t have enough information. So it’s possible that you will not get a match, but you will get a SuperSearch Alert, and this will defeat the genealogical brick wall that you’ve been facing. SuperSearch Alert emails will be sent to you at most once a week, so they won’t clog your mailbox. At the bottom of every SuperSearch Alert email, you’ll find the option to turn off this feature entirely, and a link to the new configuration page listing all your previous searches, where you can easily select which ones you’d like us to re-run periodically for you. SuperSearch Alerts are being rolled out gradually to our user base, with the first group of 10 million users starting now, to allow us to monitor system load and user satisfaction. If you are not getting them during the next few weeks, don’t worry. It probably means your account hasn’t been activated yet for SuperSearch Alerts. Please be patient as we roll it out. We hope you will be thrilled with SuperSearch Alerts, a feature not available at most other genealogy websites. As you can see, we never cease working hard to help you make the most of your family history research. An excellent new tool and I am exited to see the results and possible new findings!